Play Orca™ online for free now! 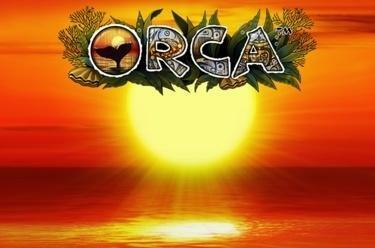 Let the giant whales at Orca™ lead you to massive winnings! Step into the fascinating world of the underwater giants and with a little luck discover the Twist treasures of the Arctic Ocean. But be wary: Every eye contact with our Orcas gives you the opportunity for huge winnings or profitable Free Rounds, which will allow you to cash in big time! Orca™ is played on 5 reels and up to 50(!) win lines. Land 5 identical symbols along a win line to cash in big time! Your win lines run in patterns from left to right. To win you have to land several identical symbols on a win line without interruption. 3 Scatter symbols (Orca fins) in any position win 10 Free Games. 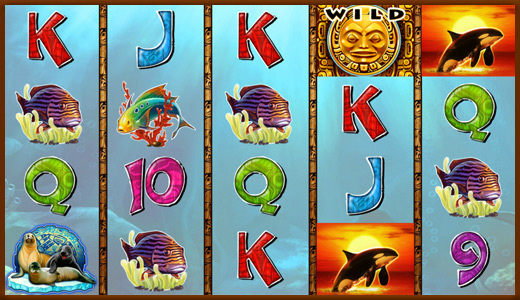 1 additional 'WILD' symbol will be placed on the reels per Free Game so your chances of taking home a big win will increase immensely! 3 Scatter symbols in the current Free Game win 5 additional Free Games. Afterwards all Scatter symbols just pay their winning value and don't trigger any further Free Games.